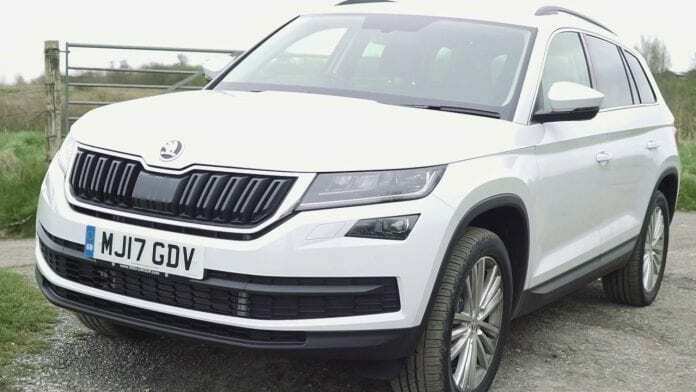 The Kodiaq is ŠKODA’s first large SUV and its first 7-seater vehicle (available on SE and over). A sturdily-built exterior stresses its impressive off-road capabilities, while an unparalleled 2,065 litres of storage space (with the rear seats folded down) makes it the perfect companion for larger families. It’s also award-winning. The ŠKODA Kodiaq was named the best large SUV in the What Car? Car of the Year awards 2017 and the coveted 2017 Red Dot Award for its exceptional design. The Kodiaq showcases all the design elements and thoughtful touches that characterise the ŠKODA family and introduces them into a large SUV to create a contemporary design that is full of character and proud of its heritage. The crystalline lines and detailed precision converge with a massive grille and high angular wheel arches. The interior opens up a completely new chapter in the design book, distinct from anything that has come before it, but still unmistakably ŠKODA. Adjustable second row seats come as standard, with backrests that can be moved backwards and forwards by 18 cm, guaranteeing ample interior variability for both the 5- and 7-seat layouts. In its standard configuration, the Kodiaq offers second-row passengers 1,014 mm headroom and up to 104 mm legroom. The backrests can be folded with a 60:40 split and can be individually adjusted. With an optional third row, it can adapt to suit your needs. ​​​Designed with the driver in mind, the ŠKODA Kodiaq delivers exceptional comfort. An array of design features allows you to customise the car’s behaviour to fit your personal preferences for optimum driving experience for you and your passengers. The new ŠKODA Kodiaq reimagines what is possible with an SUV. An impressive combination of powerful design, generous space, great functionality, state-of-the art assistance systems and innovative connectivity solutions means that everyday journeys will never feel quite the same again.